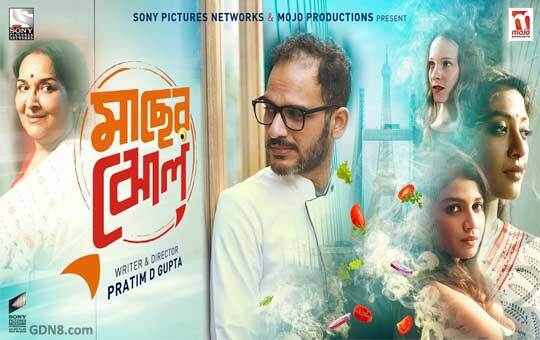 Maacher Jhol Bengali Movie All Songs Lyrics: Macher Jhol is a 2017 Bengali drama film directed by Pratim D. Gupta under the banner of Sony Pictures Networks & Mojo Productions. News about Macher Jhol Bengali Movie Song Lyrics: Ritwick Chakraborty plays Dev D in this movie. Machher Jhol is a tale of a Masterchef returning to his roots through a bowl of fish curry. Paoli Dam plays the haunting Sreela and Ritwick Chakraborty (Dev) faced with a cooking challenge and then change his life forever.